Having a deep conversation over a meal with someone who has a vast amount of knowledge on celestial bodies is the stuff of bucket list dreams. 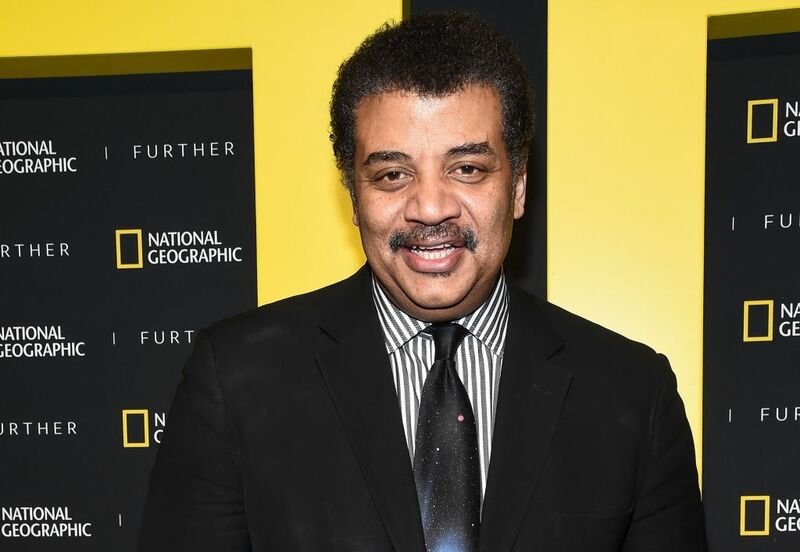 That’s one thing the folks over at First We Feast can mark as completed after inviting Neil deGrasse Tyson to eat hot wings while talking astrophysics. Yes, the “Astrophysics For People in a Hurry” author is the latest celeb to appear on Hot Ones, the show where host Sean Evans eats hot wings with celebrities and gets paid for it, which is clearly THE best job in the history of jobs. Evans begins the segment by quickly plugging Tyson’s book, which excited the astrophysicist so much that he was ready to dash and skip the wing challenge altogether. Not so fast, Neil. We came to see you sweat your way through detailed descriptions of black holes, eclipses and planetary alignments, so get ta chompin’ these wings and motioning wildly with your free hand. So yeah, if you know anything about Tyson, you already understand that he’s a great conversationalist so this hot wings challenge didn’t even come close to derailing his gift of gab. He basically breezed through most of the wings, casually discussing the importance of space exploration, slyly dissing flat-earthers and critiquing the accuracy of rappers’ lyrical space references while eating wings drenched in Zombie Apocalypse sauce. It isn’t until about 15 and a half minutes in that one of the taste bud-searing sauces called “Da ‘Bomb” kind of throws him off his game. In the end, Tyson recovered like a total boss because nothing — not even the hottest sauces on the planet — will come between him and his passion for doling out lengthy explanations about all things space.